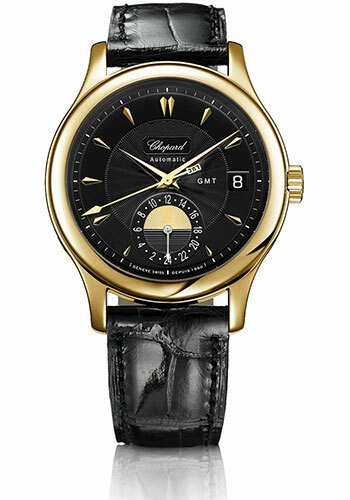 38mm 18K yellow gold case, sapphire crystal back, black dial, automatic self-winding COSC movement with date and small 24 hour counter, approximately 65 hours of power reserve. Water resistant to 30 meters. 38mm 18K white gold case, sapphire crystal back, silver dial, automatic self-winding COSC movement with date and small 24 hour counter, approximately 65 hours of power reserve. Water resistant to 30 meters.